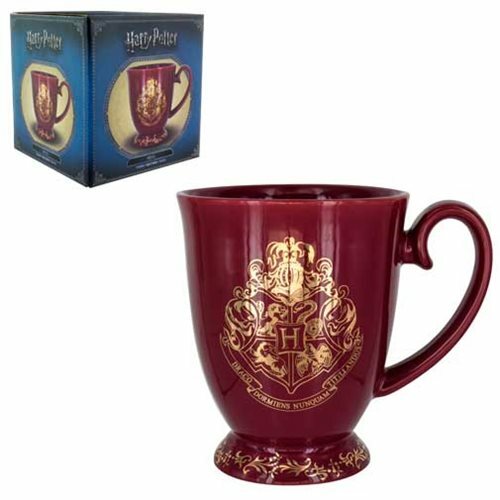 Raise a goblet to the world of witchcraft and wizardry, and toast a successful spell at Hogwarts with this beautifully designed Harry Potter Hogwarts Mug. 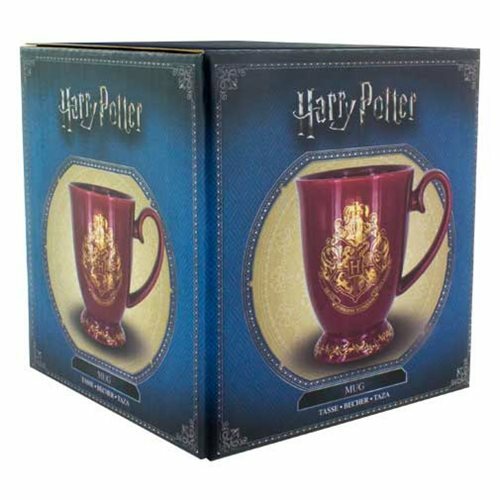 Featuring the classic colors of Hogwarts, this purple and gold drinking mug is a great gift for fans of the famous boy wizard. 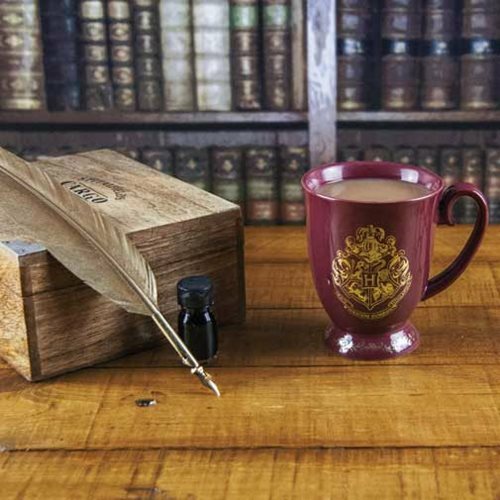 The mug features the Hogwarts school crest, including the symbols of each of the four houses: Gryffindor (lion); Hufflepuff (badger); Ravenclaw (eagle); and Slytherin (serpent). The mug also features the Hogwarts school motto - "Draco dormiens nunquam titillandus" (Never Tickle a Sleeping Dragon). Hand wash only. Not dishwasher safe. Do not microwave.Ages 14 and up.